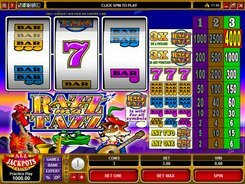 Sterling Silver is a 5-reel slot with 25 paylines themed around silver in some of its manifestations. 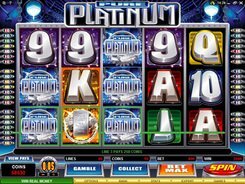 On the reels you will come across silver bullions arranged in small and big piles, single ingots as well as playing card icons designed to look as if made of silver. 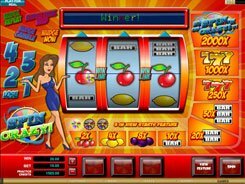 A coin size is configured from $0.01 to $0.5, with up to ten coins accepted per line, thus the maximum wager is $125 per spin. 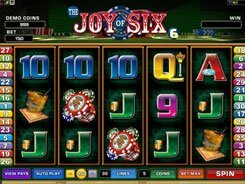 The maximum payout you can scoop in the slot reaches $5000, and the second-largest award is $2500. The Sterling Silver logo is a wild symbol that substitutes for other regular icons. Besides, a wild comes stacked on the third reel. 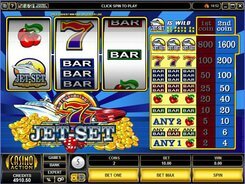 When helping create a winning combination, the wild multiplies the payout by a random value (x2–x10) that appears printed on that wild. 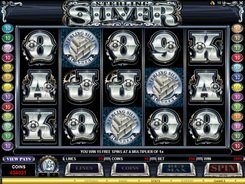 The Silver Coin is a scatter that unlocks 15 free spins at a multiplier of x2, provided three scatters occur on reels 2, 3 and 4 at a time. The game described above has a 3D version with basically the same features, except that you need a pair of 3D glasses to play it. 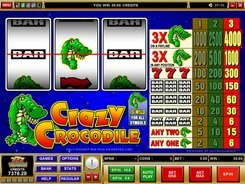 PLAY FOR REAL MONEY!